. Matsumae in Hokkaido 松前 . Matsumae, one of the oldest port towns in Hokkaido, used to be busy during the summer months in the Edo period for fishing. The name Matsumae at that time was almost identical with the old name of Ezo / Hokkaido.
. Kitamaebune 北前船 North-bound trade ships .
. Ainu Ryori アイヌ料理 Ainu Food - Introduction . 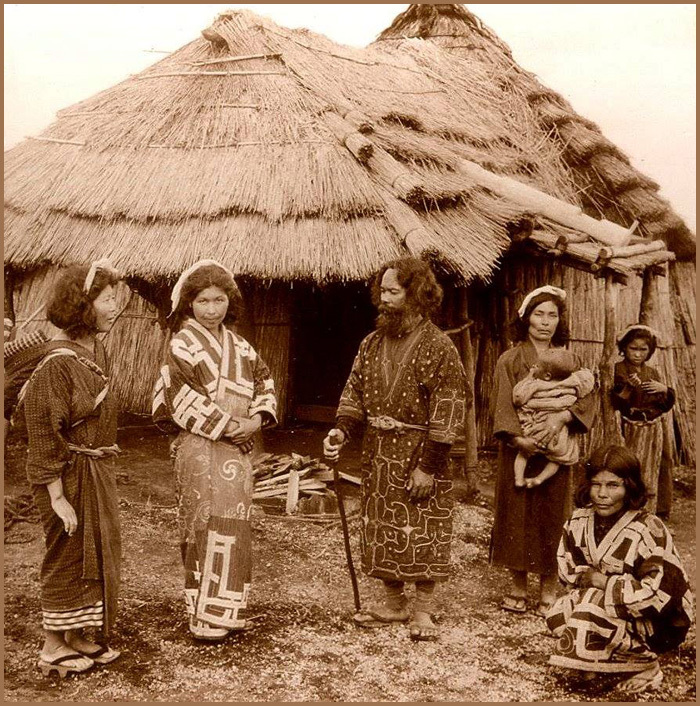 Their traditional cuisine consists of the flesh of bear, fox, wolf, badger, ox or horse, as well as fish, fowl, millet, vegetables, herbs, and roots.
. Ainu Folk Art and Craft . Itazu Kunio 板津邦夫, a famous woodcarver, born 1931. A tradition of 紗流川流域 the Saru River basin region since ancient times. It was used in trade with other regions as a product of the Saru River basin during the Edo period. Nibutani-attus is still made today with the same tools that were used to make it over a hundred years ago. 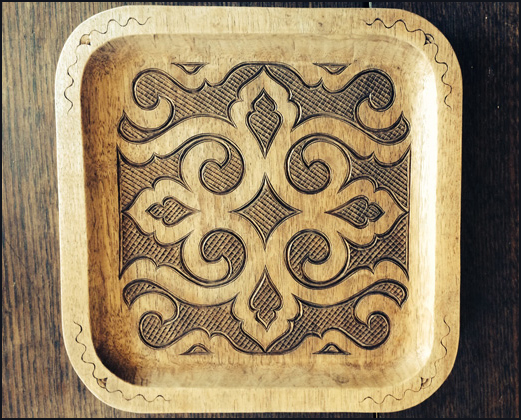 What is Nibutani carved wooden tray ? Nibutani Ita is a carved wooden tray produced in Biratori-cho, Saru County, Hokkaido. The origin of the town name, Biratori-cho, is an Ainu word for a cliff, Pirautouru. The characteristic of Nibutani Ita are its patterns. 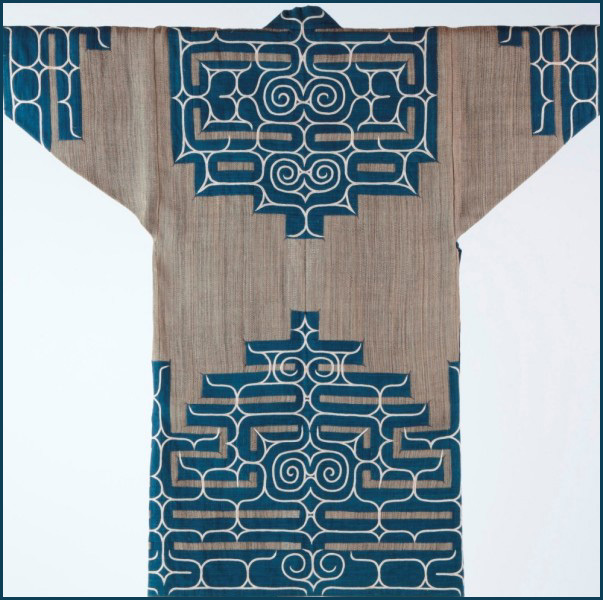 A spiral pattern called Mourenoka, a thorn-shaped pattern called Aiushinoka and an eye-shaped pattern called Shikunoka (all three words are Ainu) are combined to express a beautiful Ainu design. Furthermore, Nibutani Ita always has carved scale-shapes called Ramuramunoka which fill the space between the other patterns. The tray was used daily in the days of the Ainu and it is valued as a delicate craft by modern craftsmen today. Although Nibutani Ita is assumed to be a tray because of its shape, a song in the folklore of Ainu, Uepekere, mentions Nibutani Ita as a plate on which food was served directly. Blades were a must item for Ainu life and to be able to use the blades skillfully gave men status. 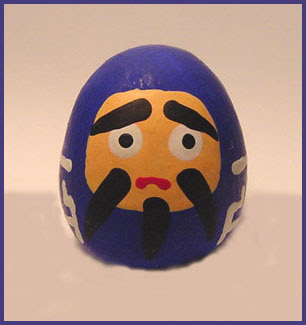 For this reason, an Ainu man would put all his energy into making a carved wooden item for a woman who he fancied when they reached marriageable age. With this background, the Ainu-carved wooden items, including Nibutani Ita, have long been used as expensive gifts, presents for exchange or commercial items. During the Ansei era (1854 – 1859) at the end of the Edo period (1603 – 1868), it was recorded that Nibutani Ita was among the gifts to the Bakufu (government) of the Matsumae Domain. 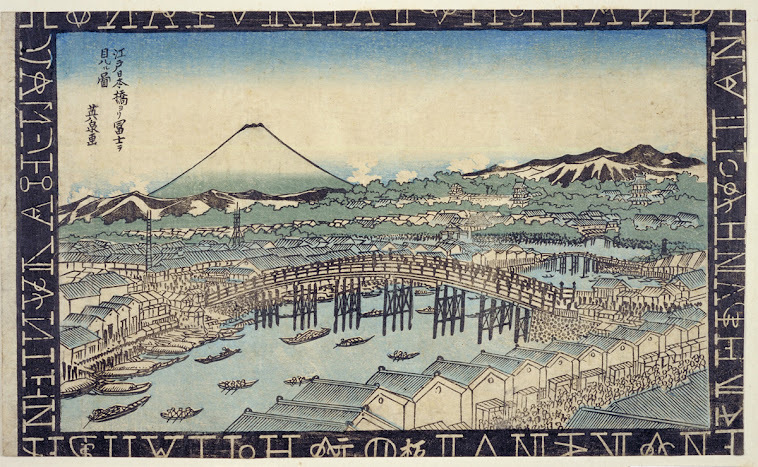 In 1873, Nibutani Ita was exhibited at the EXPO in Vienna. Nibutani Ita was designated as a traditional national craft for the first time in Hokkaido in March 2013. Nibutani or Niptani (Ainu: ニプタニ), is a district in the town of Biratori in Hokkaido. With over 80% of the residents being Ainu, it makes it the city with the largest population of its residents being Ainu in all of Hokkaido. It is the site of the Nibutani Dam, and the hometown of Shigeru Kayano. 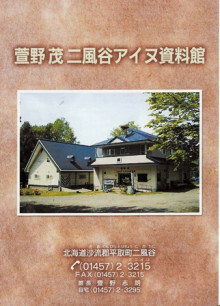 Nibutani is also the site of two Ainu museums "Kayano Shigeru Nibutani Ainu museum" and the "Nibutani Ainu Culture Museum", as well as the Nibutani Family Land. 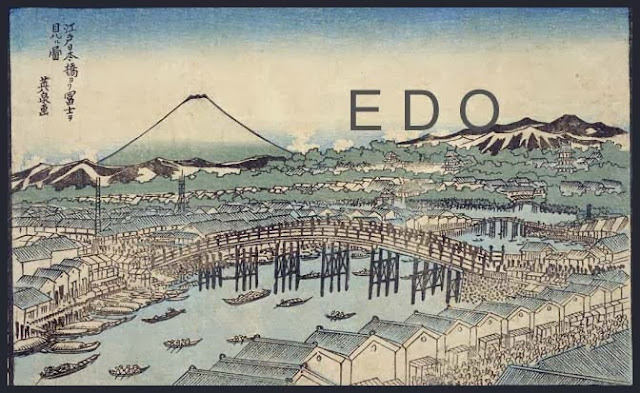 In the Edo Period (1603-1868) and the years that followed, Japan made strenuous efforts to bring together its patchwork of feudal regions into a strongly centralized state with a unified culture. Accordingly, the nation now is one of the most homogenous in the world. But there are a couple of places where this strongly mono-cultural model begins to fray. One is Okinawa, where there is a somewhat different identity, and the other is Hokkaido, where there are still some traces of the indigenous Ainu people and their culture. While recognizing these different ethnic areas could be problematic — leading to separatism, for example — completely ignoring them is not an option, so it is only fitting that efforts to acknowledge them is made. 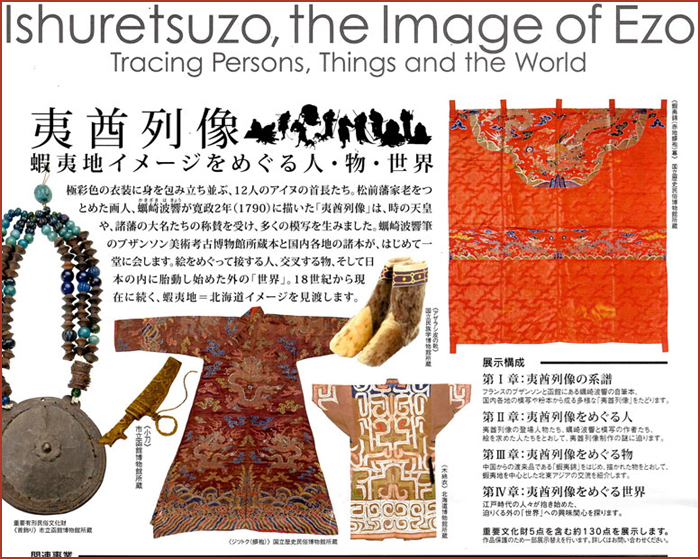 The exhibition “Ishuretsuzo, the Image of Ezo: Tracing Persons, Things and the World” at the National Museum of Japanese History — and from Feb. 25 at the National Museum of Ethnology in Osaka — should be viewed in these terms. Significantly, the exhibition focuses on the Ainu not as a separate and independent culture but rather as symbiotic allies and auxiliaries of the Japanese. The curation was built around the Ishuretsuzo, a series of portraits of Ainu chieftains, painted by Hakyo Kakizaki (1764-1826), a samurai retainer of the Matsumae clan, who occupied the southern part of Hokkaido to defend the border. Originally there were 12 portraits, painted in 1790, depicting high-ranking Ainu allies of the clan, with one of the portraits being of a woman, noticeable by her lack of a long beard and her tattooed lips. 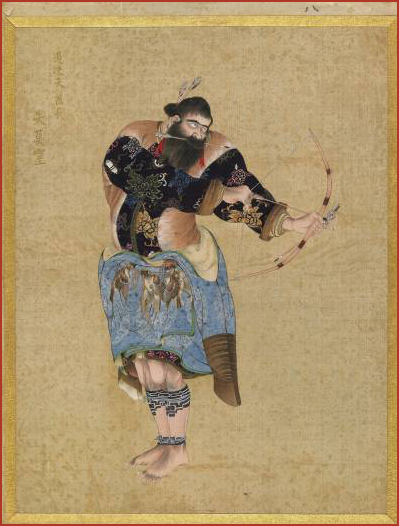 These surprisingly skillful works were painted in the aftermath of the Menashi-Kunashir War of 1789, when Ainu attacks on Japanese tradesmen and colonists in the northeastern part of the island led to retaliation by the Matsumae clan and their Ainu allies. The whereabouts of the paintings was unknown, until 1984 when 11 of the works were rediscovered at the Besancon Museum of Fine Arts and Archaeology in eastern France. 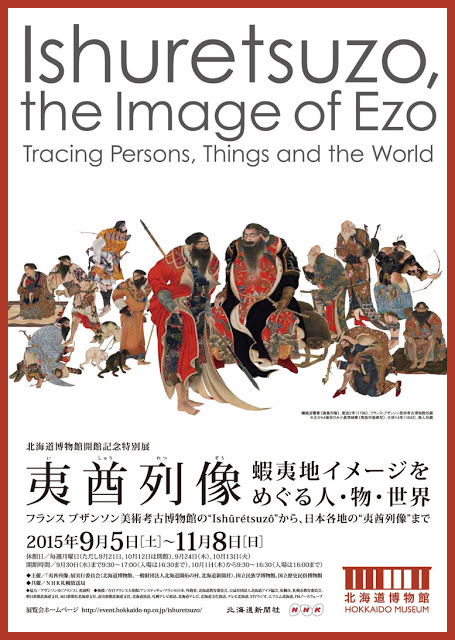 These 11 paintings are supplemented by garments and objects, some of which have also been depicted in the pictures, as well as old maps and other artworks showing scenes from Ezo, as Hokkaido was then known. The most impressive item on display is an expansive folding screen from 1741, showing in great detail the town of Matsumae, the headquarters of the eponymous clan. Among the small figures that can be discerned are a group of Ainu visiting the town. It seems clear from looking at this screen, Kakizaki’s works and the details of the Menashi-Kunashir War, that the Japanese and Ainu were in frequent contact and occupied different economic positions, not separate and exclusive spaces. The Ainu tended to focus on hunting and fur-trapping — the exhibition includes a very large sea otter rug — while the Japanese were traders and farmers. This was a period when Japan was closed to the rest of the world, except for a strictly controlled stream of trade through Nagasaki. But Ezo’s distance from the capital and its frontier conditions appears to have had a liberalizing effect on trade, with Hokkaido serving as something of a back door to Japan. 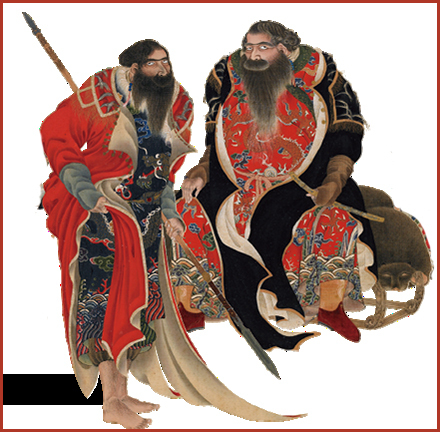 This is reflected in Kakizaki’s paintings, which show the Ainu chieftains wearing an outlandish mixture of Chinese, Japanese and even European garments. It is almost as if Ezo was a colder version of Tatooine, the anarchic trading planet in the “Star Wars” movies, with the more powerful Ainu chieftains being particularly colorful characters. Although tensions occasionally flared up, as in the Menashi-Kunashir War, the mutual benefits for Japanese and Ainu meant that there was good reason for them to get along together. It is possible to see Kakizaki’s paintings as examples of ethnographic art and depictions of the alien “other.” Attention could be drawn to the evident fascination with which he depicted the hairiness of his subjects and their swaggering and eclectic sense of fashion. But a more fair-minded appraisal would be to draw attention to the painter’s general realism — his lack of ethnic exaggeration and exoticism. These are works by someone who seems to have been truly familiar with the Ainu people, and it shows. Although Kakizaki’s paintings represent a Japanocentric view of the Ainu, it is one that is nevertheless genuine, sensitive and artistically sympathetic. Menashi-Kunashir Battle was a battle in 1789 between Ainu and Japanese on the Shiretoko Peninsula in northeastern Hokkaidō. It began in May, 1789 when Ainu attacked Japanese on Kunashir Island and parts of the Menashi District as well as at sea. More than 70 Japanese were killed. The Japanese executed 37 Ainu identified as conspirators and arrested many others. Reasons for the revolt are not entirely clear, but they are believed to include a suspicion of poisoned saké being given to Ainu in a loyalty ceremony, and other objectionable behavior by Japanese traders. The battle is the subject of Majin no Umi, a children's novel by Maekawa Yasuo that received the Japanese Association of Writers for Children Prize in 1970. A similar large-scale Ainu revolt against Japanese influence in Yezo was Shakushain's Revolt from c. 1669-1672.
an Ainu rebellion against Japanese authority on Hokkaidō between 1669 and 1672. It was led by Ainu chieftain Shakushain against the Matsumae clan, . . .